General Atlantic Partners and Varde Partners have won the bid to buy a 22% stake in PNB Housing Finance from Punjab National Bank for ~Rs3,500cr. General Atlantic Partners and Varde Partners have won the bid to buy a 22% stake in PNB Housing Finance from Punjab National Bank for ~Rs3,500cr. The plan to sell the venture resurged after PNB and private equity investor Carlyle dropped the plan to sell a 66% stake in the company as liquidity pressures mounted post the IL&FS default in September-October 2018. PNB has decided to stay invested with a 10.7% stake and choose two buyers instead of selling the entire block to one suitor, which ensures that no open offer for an additional 26% of the company gets triggered following the share sale. As the principal shareholder, Punjab National Bank owns 32.79% stake. GA, an existing investor, will most likely buy 12% in the mortgage firm and Varde is expected to buy a 10% stake. Chrys Capital and Carlyle Group have a 32.6% stake through Quality Investment Holdings -- were the other two contenders but chose not to bid. A team of Blackstone and GIC, supposed to be the strongest contender, decided not to bid last week. The decision was made after Blackstone decided to buy Aadhar Housing Finance from the stressed DHFL. 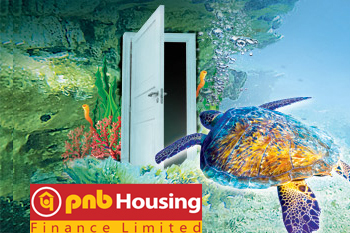 PNB Housing Finance Ltd share price is currently at Rs919.35, down Rs31.55, or 3.32%, from its previous close of Rs950.90 on the BSE. The scrip opened at Rs960 and has touched a high and low of Rs960 and Rs919.35, respectively. So far, 58,468 (NSE+BSE) shares were traded on the counter. Punjab National Bank share price is currently at Rs72, up Rs1.05, or 1.48%, from its previous close of Rs70.95 on the BSE. The scrip opened at Rs71 and has touched a high and low of Rs72.20 and Rs70.90, respectively. So far, 78,82,561 (NSE+BSE) shares were traded on the counter.